While you are reading this, Caroline Woolard is likely teaching, convening a group, speaking at an event, writing a book, or working on an interdisciplinary project. 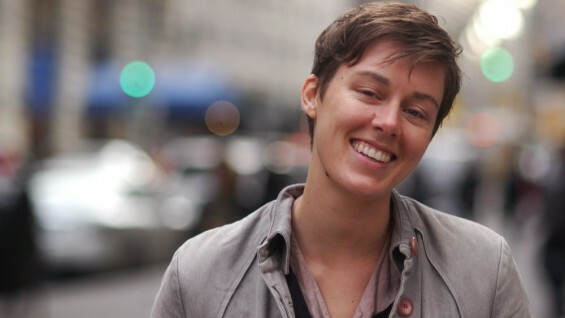 In November 2016, for example, while teaching three courses at SVA in MFA Fine Arts and one course at the New School in Integrated Design, Caroline Woolard delivered a keynote for the 50th anniversary of the National Endowment for the Arts, presented at the Platform Cooperative conference, gave an artists talk at the School of the Art Institute of Chicago, and signed a book contract with Punctum Books. You can learn more about her work on this site or on twitter or instagram. You can email her at Caroline Woolard [at] gmail [dot] com. Caroline Woolard co-creates projects and institutions for the solidarity economy. Her feminist, transdisciplinary method connects discrete objects to aligned contexts of circulation. For example, Woolard builds sculptures for barter only as she also co-creates international barter networks; she fabricates model Shaker housing and she also co-convenes organizers of community land trusts; she co-creates card games for the commons as she also directs a study center for group work. Her multi-year, collaborative institutions include OurGoods.org (since 2008); TradeSchool.coop (since 2009); BFAMFAPhD.com (since 2014); NYC Real Estate Investment Cooperative (since 2015). Recent commissions include WOUND, Cooper Union, New York, NY (2016); and Capitoline Wolves, Cornell University, Ithaca, NY (2016), and Exchange Café, MoMA, New York, NY (2014). Woolard teaches at the School of Visual Arts (MFA Fine Arts) and at Parsons the New School (BFA Integrated Design Program), and speaks internationally about art, design, technology, and economic justice.